← Some of the best photos from NBA Playoffs 2011. Definitely. So the Bulls lost to Miami last night. Again. I honestly thought the Bulls were going to pull through. They’ve been underestimated this season, and I was thoroughly impressed with their results (up until now). It’s a bit of a bummer, you know? I was ready to see Lebron’s ginormous ego get whooped. But everyone knows that in the playoffs no one comes back from 3-1. Maybe next year, Chicago. Now the real interesting game was the last game between the Mavericks and Oklahoma City. 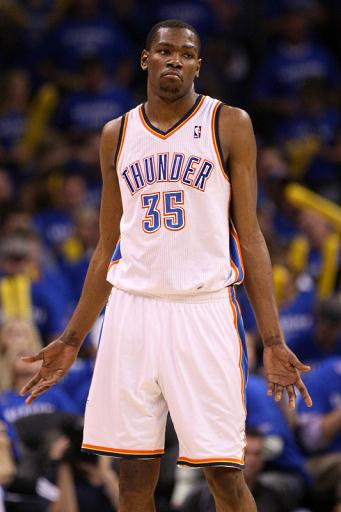 What the freak was that, Durant? He choked so hard that I even felt bad for him. Nine turnovers, a bunch of missed rookie-shots, and a really dumb attempt to look cool with a buzzer beater. Not cute. 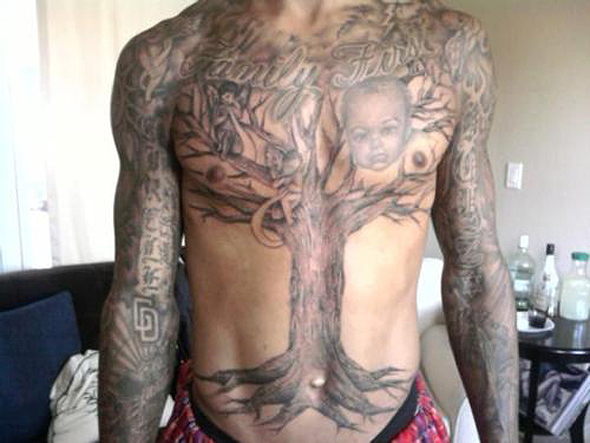 Monta Ellis, point guard for the Golden State Warriors, got the dumbest tattoo I’ve ever seen in my life. Look at this. There is a BABY’S FACE FLOATING IN A FOREST.